An app that is notorious for helping students solve math equations now makes it even easier for students to solve a problem. 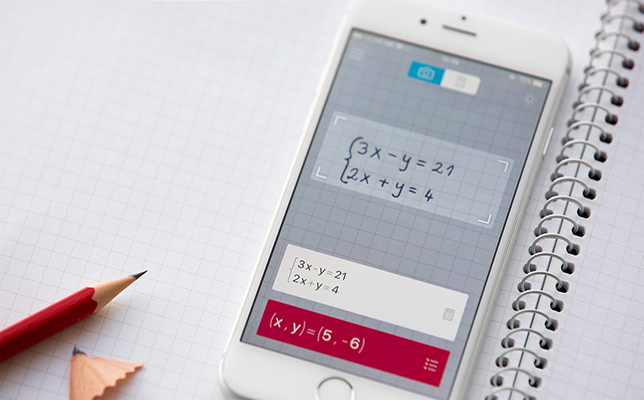 Version 3.0 of Photomath, available now for iOS and soon-to-be-available for Android devices for free, enables students to take photos of their handwritten math equations and receive step-by-step instructions for solving the problem. The app previously could only read printed text using MicroBlink mobile text recognition technology. The update still utilizes MicroBlink, but with enhancements that allow handwritten text to be processed. In addition, the new version features Photomath+, an expert math system that guides learners through an equation. Photomath launched in 2014 at Startup Battlefield, a startup competition held at the Disrupt Europe 2014 event hosted by TechCrunch, where it was a finalist. The app has been downloaded 36 million times on Android and iOS since the competition, and consistently ranks in the top 5 educational apps in the United States. To learn more about the app, visit the Photomath site.